There are only 3 days left to see this wonderful exhibit! The Ghost Army exhibit will be open Friday, October 14 through Sunday, October 16, noon to 4 pm -- details below. Suggested donation: Adults: $ 7.; Children under 12: $ 3. In the early 1940s, the military recruited aspiring artists from art schools along the east coast and trained them in the art of camouflage and deception. They became the 23rd Headquarters Special Troops. Their mission: To deceive and divert the enemy. They were sent to Europe with rubber tanks and phony artillery. They secretly brought along their sketchbooks. While impersonating many different Army units, they also painted and sketched their way across war-torn Europe from England to Normandy, Paris, Luxembourg and into Germany. Their story is one of smoke and mirrors, while their artwork offers a unique insight into what Europe looked during the war. 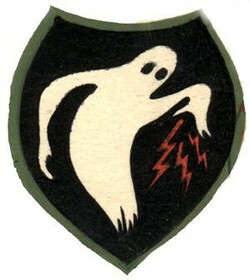 After the war, many of the Ghost Army veterans went on to make names for themselves. Bill Blass, Ellsworth Kelley, Arthur Singer, Arthur Shilstone, John Masey, Art Kane and Victor Dowd all had been members of the Ghost Army. Two of the veterans who went on to have successful careers in the arts settled in Rockland County, NY, and are being honored along with all the Ghost Army veterans with this landmark exhibition. Sneak previews of the documentary film about the Ghost Army being made by co-curator Rick Beyer, will be shown continuously during the exhibit, which is also being curated by Elizabeth Sayles, daughter of Ghost Army veteran, Bill Sayles.